Consisting of 18-8 series, non-magnetic stainless steel material, the stainless steel vented pull pin is a popular choice among industrial professionals. 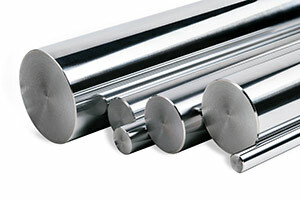 Stainless steel is an alloy (with a minimum of 10% chromium) that has a higher resistance to corrosion than standard steel, and it can be used effectively for a longer period of time. Stainless steel vented pins are easily removed because of the flat vent that runs along the length of the pin. These pull pins have internal threading that also gives them the unique advantage of being reusable. ASME B18.8.2 material specification and Rockwell hardness of C47, they possess double shear breaking strength. The main function of a pull pin is to hold the position of the indexing devices. Standard pull pins can experience slight unintended movements or completely fall out of place—this is due to irregular mating holes or when placed in environments with excessive vibration. 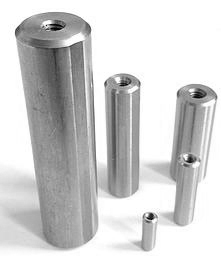 Apart from standard sizes, we also manufacture custom pull pins for any specific application need. Contact us and we’ll give you a custom quote to get the process started quickly. Browse our Product Catalog to find stainless steel vented pull pin that fit your requirements. If you don’t know the exact specification you need, contact us and let us help you.